As we look back over the previous decade from the ten-year anniversary of September 11th, and look forward to President Obama’s “withdrawal from Iraq and Afghanistan” plans, a compelling picture emerges of a U.S. foreign policy running straight into Biblical prophecy. Jeremy Scahill’s compelling 2007 work, Black-water: The Rise of The World’s Most Powerful Mercenary Army, details the rise of Blackwater founder Erik Prince and the organization that changed the face of the U.S. military war machine. Erik Prince was the only son and one of the heirs of Edgar Prince and the Prince Corporation of Holland, Michigan. Edgar was well on his way to becoming a billionaire in 1973 when his company began production of the “ubiquitous lighted sun visor.” Edgar was also firmly established with the political Religious Right and national conservative Christian lobby groups. He ensured Erik was mentored in his foundational Christian beliefs and remained connected to Edgar’s colleagues and friends. The powerful conservative leaders Prince and his family had supported and built up had thrown down the political and religious gauntlet. Erik chose to pick it up. Exploring the possibility of a “showdown between church and state” and a “morally justified revolution,” Erik simultaneously strengthened his ties with powerful Republican legislators and the leaders of the conser-vative movement. He became a major political bankroller on par with his father. 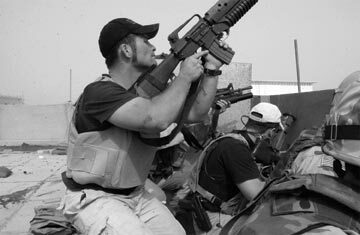 By 1998, Blackwater was doing a vigorous business in training private and government customers in the use of a wide variety of weapons from pistols to precision rifles to machine guns. Navy SEALs leased the facility for training sessions. Additionally, police officers from Virginia, North Carolina, and Canada had enrolled in Blackwater training programs. Blackwater also contracted with foreign governments to provide “security” training. Interestingly, in September 2000, the Project for a New American Century released a report called Rebuilding America’s Defenses: Strategy, Forces and Resources for a New Century. The vision of the report stated that “the process of transformation, even if it brings revolutionary change, is likely to be a long one, absent some catastro-phic and catalyzing event—like a new Pearl Harbor.” A year later, the 9/11 attacks provided that catalyst, and the core conservatives of that report were now entrenched in the Bush White House. Under Bush, the Pentagon came under new civilian leadership (from large defense contractors): Under Secretary of Defense Pete Aldrege (Aerospace Corporation), Army Secretary Thomas White (Enron), Navy Secretary Gordon England (General Dynamics), and Air Force Secretary James Roche (Northrup Grumman). The new regime enacted the most sweeping privatization and out-sourcing operations in U.S. military history. Sitting in the right place at the right time, Blackwater became the largest beneficiary of outsourced operations in both Iraq and Afghanistan. By 2006, despite the involvement of private paramilitary resources, the U.S. military was stretched thin. Former Secretary of State Colin Powell declared, “...the active army is about dead.” In his 2007 State of the Union address, Bush called for an increase of 92,000 active duty troops within five years and proposed a Civilian Reserve Corps to supplement official U.S. forces. 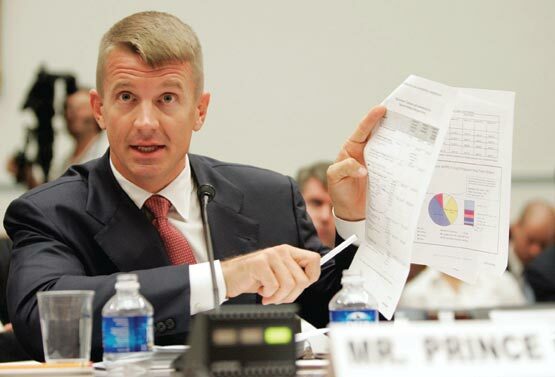 In response, Erik Prince suggested the creation of a “contractor brigade” because he asserted, “We could certainly do it cheaper.” As a man with his own army, the Weekly Standard hailed Prince as “the alpha and omega of military outsourcing.” And indeed, by the middle of the decade, Blackwater led the other military contractors to build a private contract force in the Middle East to a one-to-one ratio with U.S. military personnel. Despite its moralistic boasts, by the end of 2005, the Department of Homeland Security paid Blackwater at least $33.3 million for its Katrina contracts, which included guarding companies, banks, hotels, industrial sites, wealthy individuals, and miscellaneous DHS Federal Protective Services. It seems the rescue effort is turning into an urban war game: An imaginary domestic version of the total victory that eludes America in Baghdad will be imposed here, on New Orleans. It’s almost as if the Tigris—rather than the Mississippi—had flooded the city. The place feels like a sick theme park—Macho World—where cops, mercenaries, journalists and weird volunteers of all sorts are playing out a relatively safe version of their militaristic fantasies about Armageddon and the cleansing iron fist. These security contractors are armed and operate in a fashion that is hard to distinguish from military forces, especially special operations forces. How-ever, these private security companies are not under military control and are not subject to the rules that guide the conduct of American military personnel. It would be a dangerous precedent if the United States allowed the presence of private armies operating outside the control of governmental authority and beholden only to those who pay them. Security in a hostile fire area is a classic military mission and delegating it to private contractors raises serious questions. To the extent a population is called upon to go to war, there is resistance, a necessary resistance to prevent wars of self-aggrandizement, foolish wars, and hegemonic imperialist wars. Private forces are almost a necessity for a United States bent on retaining its declining empire. Think about Rome and its increasing need for mercenaries. Likewise, here at home in the United States. Controlling an angry, abused population with a police force bound to obey the Constitution can be difficult—private forces can solve this problem. Following several missteps and lawsuits involving activities in Iraq and Afghanistan, executives of Blackwater decided a name change was warranted. Blackwater became Xe (pronounced Zee). Gary Jackson, president of Xe, said in an interoffice memo, “Xe will be a one-stop shop-ping source for world class services in the fields of security, stability, aviation, training and logistics.” The subsidiaries that were a part of the Blackwater family of companies also changed the name reference. However, the name change was not enough to stop the onslaught of legal suits and government harassments for Erik Prince. In the summer of 2010, Erik Prince put his company up for sale and moved to Abu Dhabi stating he was “weary of proctology exams” from Congress. According to his associates, Prince is developing a protective security and antiterrorism business in Africa, relying on many of the third-world nationals he employed during Black-water’s prime. In December 2010, Xe Services was acquired by a consortium of investors led by Forte Capital Advisors and Manhattan Partners. Forte’s managing partner, Jason DeYonker has been close to Prince for years. Meanwhile, in 2011, the U.S. State Department approved a contract worth more than $84 million dollars over five years to International Developments Solutions, a joint venture that includes the U.S. Training Center (the former Blackwater training center). 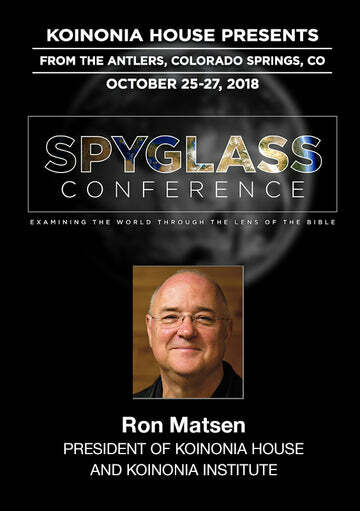 According to State Department spokesman Mark Toner, the consortium will provide protective security in “the Israel-occupied West Bank—services that are based from the U.S. Consulate in Jerusalem.” The training for the new Jerusalem contract will need to be done in Moyock because the U.S. Training Center has no comparable facilities elsewhere. To further question the intent of the new “Blackwater” consortium in cleaning up its image, in September 2011, former disgraced AIG “Compliance Czar” Suzanne Folsom was hired as its first chief regulatory/compliance officer and deputy general counsel. Folsom’s reputation as a “non-compliant” compliance officer precedes her to her new position. As 2011 comes to a close, multi-million dollar contracts from world governments to private security and military/police training centers will require a closer inspection, especially in a world searching for new leadership in 2012. York, NY: Nation Books, 2007.